Fuel tank capacity 8 liter. Features Of Rice Planting Machines Are Light In Weight Easy To Handle, we Can Adjust Distance Between Numeer Of Rows.eco Friendly.maintenance Free. 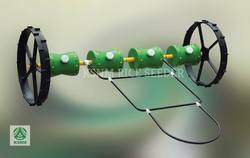 We deal in best quality of Paddy Transplanting Machine (Rice Transplanter Machine). We offer these Paddy Transplanting Machines at industry leading prices to our clients. work in all types of Soils. 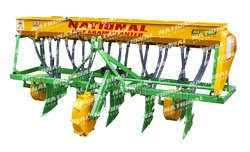 The company is engaged in manufacturing a wide range of Paddy Transplanter - 8 Row Riding Types. To make paddy plantation, economical and easier these products are engineered. Use of these machines not only helps clients in minimizing their cost of production in context of labour charges and others.